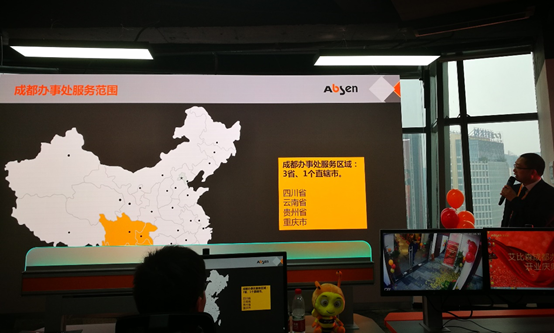 Following the recent set-up of Absen Shanghai office and Absen Beijing office in 2018, we are pleased to announce the opening of Absen’s new regional office in Chengdu at the right beginning of 2019. 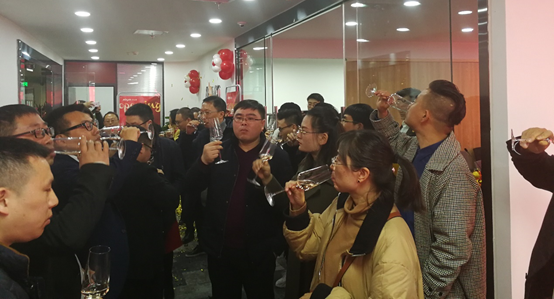 The opening ceremony was held on 17th Jan, 2019, with the joint attendance of Absen headquarter executives, regional leaders and some customers and partners! As the capital of Sichuan province, Chengdu is one of the most important economic, financial, commercial, cultural, transportation, and communication centers in Western China, which also has a strategic value for Absen’s domestic market. 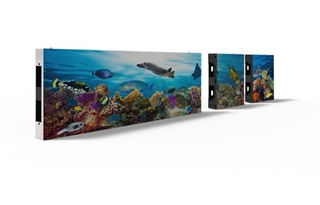 “The Southwest market that Chengdu represents has a great potential for LED display and what Absen has achieved last year was a strong evidence: Absen’s products have attracted so much attention and ended up with many successful cases, like the Chengdu CDI meeting room project, the National Big Data Center in Guiyang, which have won a lot of praises from our end-users”, says by Xinhai Li, Absen’s vice general manager of China mainland market. 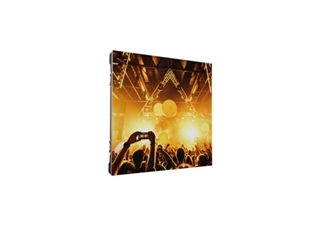 “Great progress has been achieved in the domestic market over the past year for Absen.We are heading for new trials and explorations in China’s mainland market. 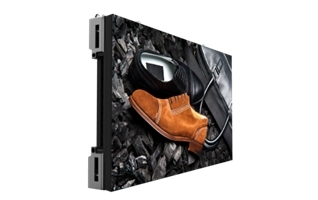 The Beijing office and Shanghai office we built last year work as good examples that provide excellent local support and backup for our customers in North China and East China with their regional influence and geographic convenient conditions. 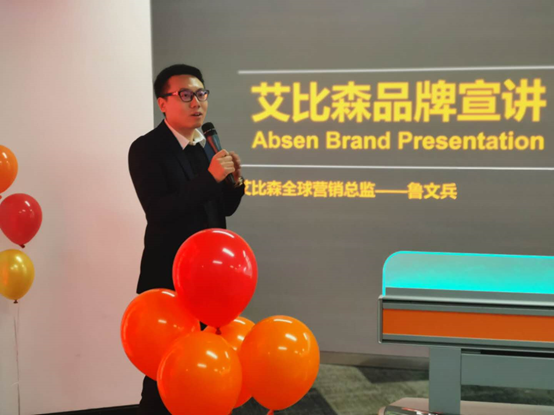 Full of confidence to the Southwest China market, we believe the opening of Chengdu office will be an important step for the improvement of Absen local service and an impetus for Absen’s brand influence”, said Prince Lu, the global marketing director of Absen. Featuring modern offices, facilities and a show room, the 308 sqm new office is designed to be functional, open and customer-friendly. 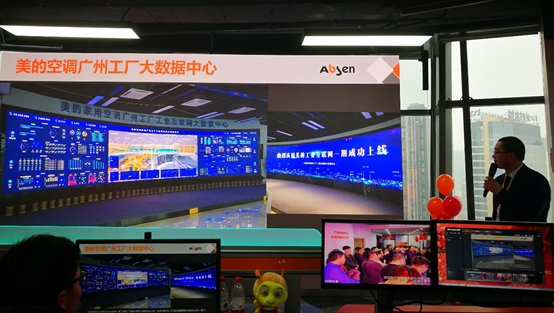 In the exhibition room visitors will find Absen’s latest LED products and solutions, including the CR series for control rooms, the Absenicon for the latest meeting room solutions and other new products for different applications. 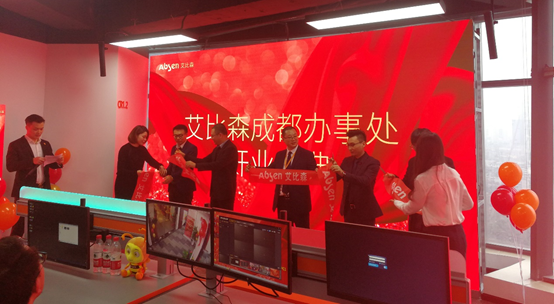 Representatives of partners and customers from the Southwest China market also participated in the opening ceremony to celebrate and witness this meaningful and strategic move. 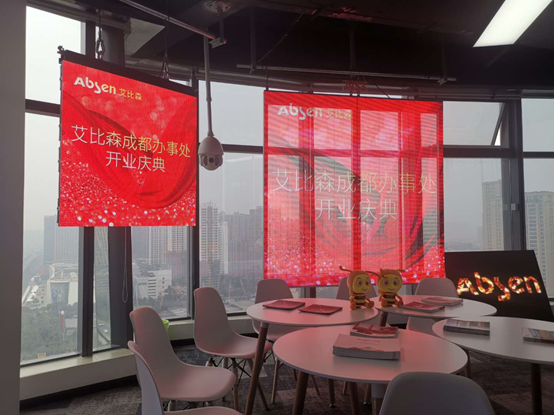 Click to know more about Absen’s Beijing office and Absen’s Shanghai office.